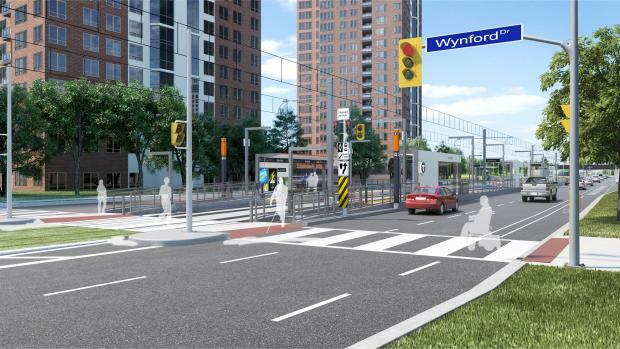 The Crosstown stop at Wynford will be at surface. 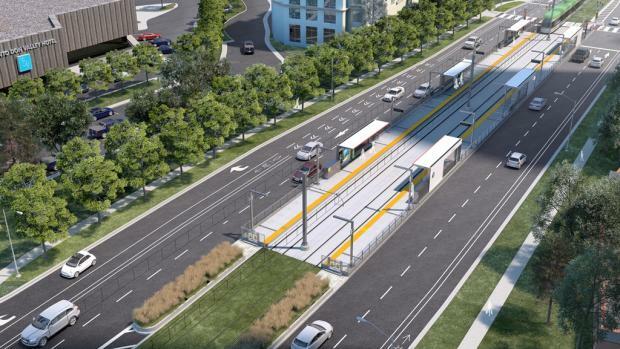 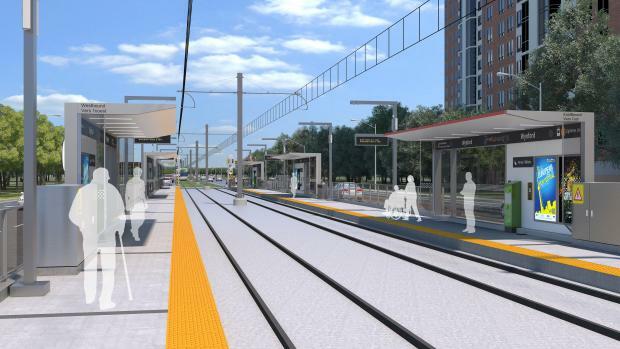 The accessible stop will be a parallel side platform, with the stop located on Eglinton Avenue East, on the west side of the bridge over Wynford Drive. 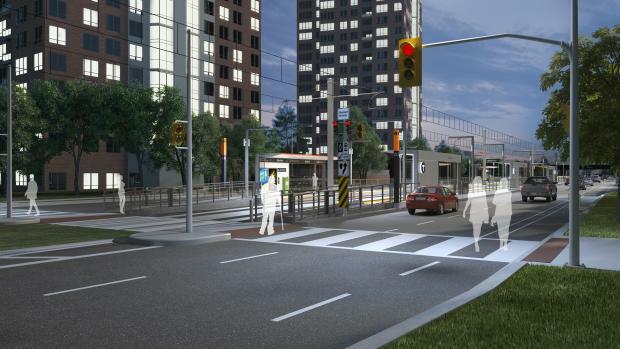 There will be a sidewalk on each of these existing ramps: exit ramp from Eglinton Avenue eastbound to Wynford Drive, and entrance ramp from Wynford Drive to Eglinton Avenue westbound.